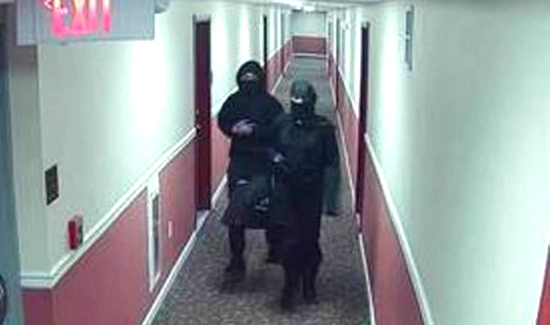 Police say two people dressed as ninjas broke into a New Jersey apartment building and set several fires. Newark police officials say the unidentified man and woman broke in through a second-floor apartment. WNBC-TV reports that there is video showing the two exiting through a side entrance and running off down a hill.